Franklin & Marshall – Paleo Lab presentations at the 2017 GSA national meeting! Paleo Lab presentations at the 2017 GSA national meeting! 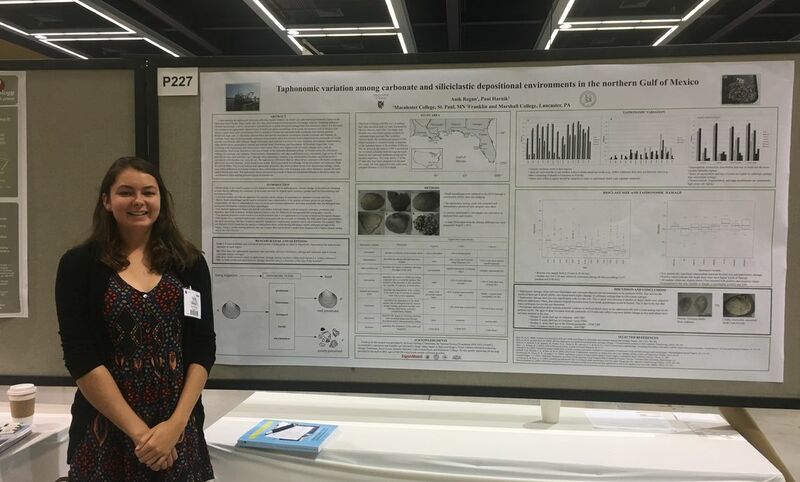 The Paleo Lab was well represented at the Geological Society of America national meeting this month in Seattle. Former students Anik Regan (Macalester College '17) and Luke Grimmelbein (Beloit College '17) each gave posters on the Keck Geology projects they conducted in 2016-17. 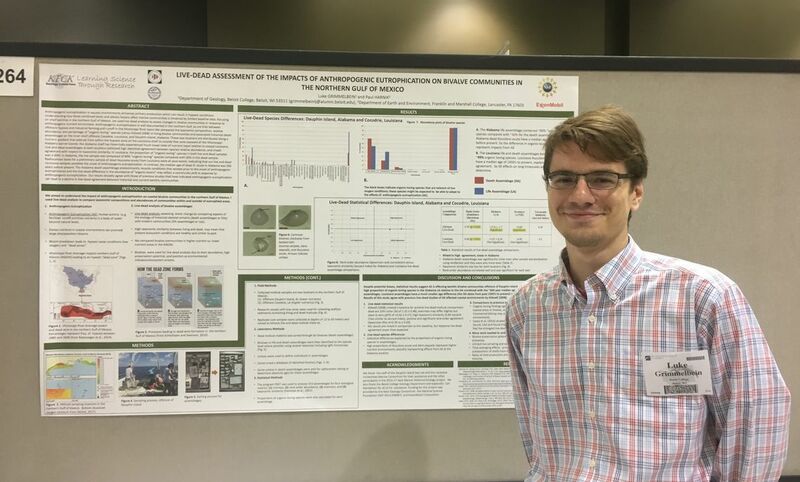 Anik's poster focused on taphonomic variation between carbonate and siliciclastic depositional settings in the northern Gulf of Mexico, and Luke's on live-dead comparisons of molluscan communities offshore Louisiana and Alabama. Their posters turned out really well and generated lots of interest. In addition I gave a talk on the morphological evolution of scallops, in which I compared neotropical faunas before and after the closure of the Central American Seaway roughly 3 million years ago. My talk was the first of many in a topical session that I co-chaired focused on biodiversity response to environmental change. The session included a fantastic assortment of scientists working to better understand the geologic history of biodiversity change and predict current and future responses to changing environmental conditions.